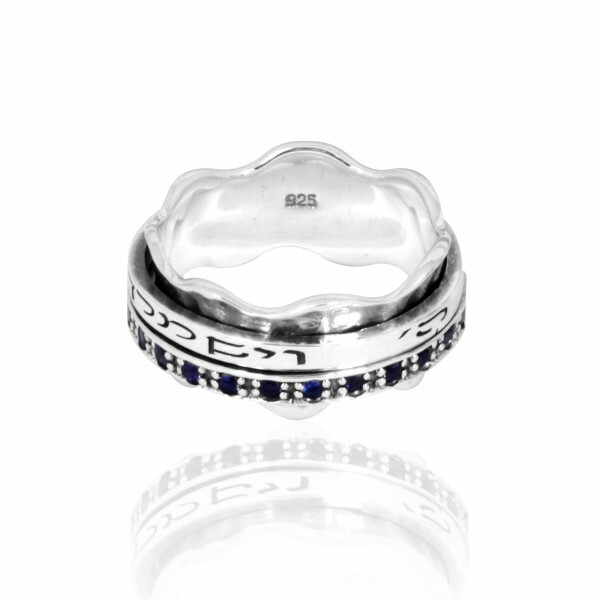 Set with sapphires and cubic zirconia, this spinner ring is made of Sterling silver and is shaped like a crown and is engraved with "May Gd Bless You and Protect You" in Hebrew. 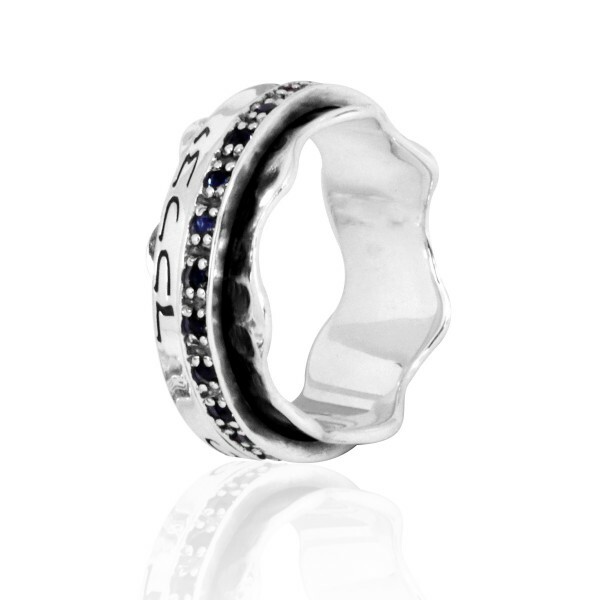 This stunning Sterling Silver spinner ring has the words "May Gd Bless You and Protect You" engraved into it. The ring is shaped to look like a little crown and it has sapphires and cubic zirconia set into it, creating a Jewish jewelry look that is not merely meaningful, but stylish and wonderful looking.